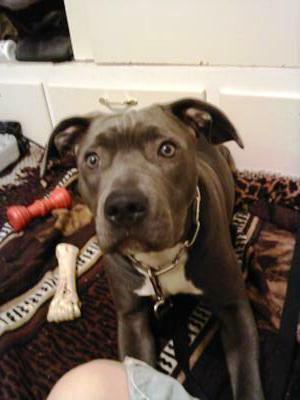 I have a six month old blue nose pitty. She is the most amazing dog besides my older pitty named Gage. :) They are my babies. I know, isn't she just adorable. Love her to pieces. Take good care of this beautiful princess. She looks just like our baby!